This X468 camera mount has roll and tilt and weights in at 250 grams - This kit comes complete with all hardware needed to complete the build. This is a direct fit for the Naza F330/F450/F550. 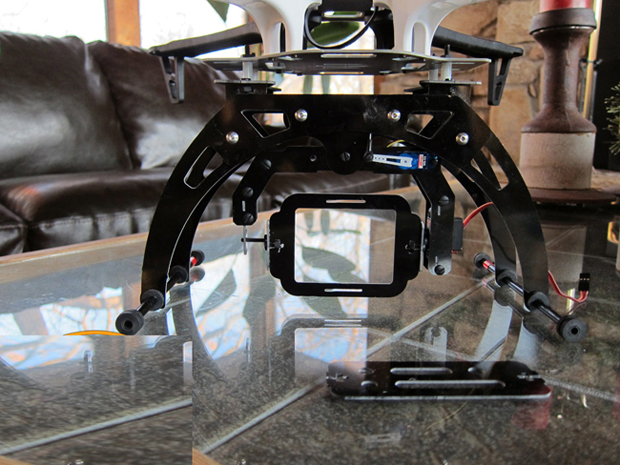 You can use the built-in camera stabilization that comes standard with the Naza FC to smooth out your video. 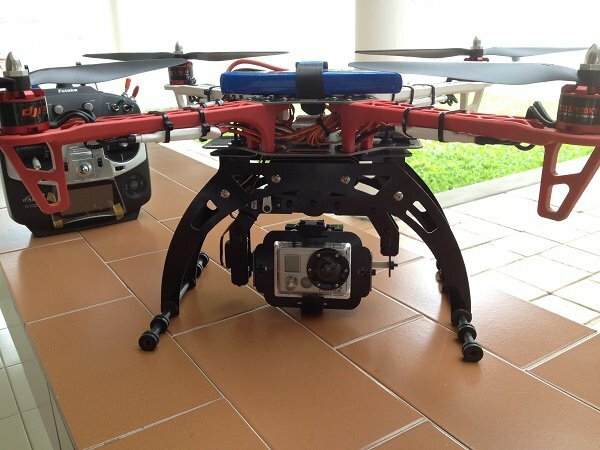 This is a MUST for Aerial Photography. 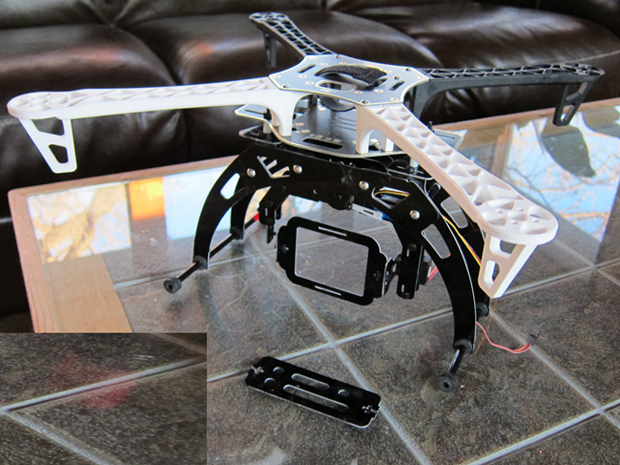 Very easy to adapt to just about any multirotor. WE are now adding International dealers that will carry the X468 FlameGear. If you do not have a dealer listed in your country we will ship International but there is an extra shipping cost. If you have a dealer listed below in your country please order from them. If not place your order with us and we will then send a Paypal shipping invoice. Most areas are $24 for Priority International.